It’s a rare occasion indeed to discover an Omega Constellation model that is not listed in the Omega database, but such is the case with the very uncommon case #2887. In more than two decades of collecting, I have not chanced upon this particular model, but thanks to the power of the worldwide web and collector SpencerT’s good fortune we can add to the body of knowledge about these flagship Omega vintage watches. Here is a short essay on the discovery. There is a complete new 'regime' at the Omega museum, and I think it may take time before it recognizes the value of keeping the communication lines open. Marco Richon, John Diethelm, Jean-Luc Miranda and others we very much in favour of a direct and warm dialogue with collectors and supporters of the brand.........we can live in hope that the new 'crowd' ultimately recognizes the two-way benefits that accrue from open dialogue. I have seen a watch that looks similar to the one photographed above. 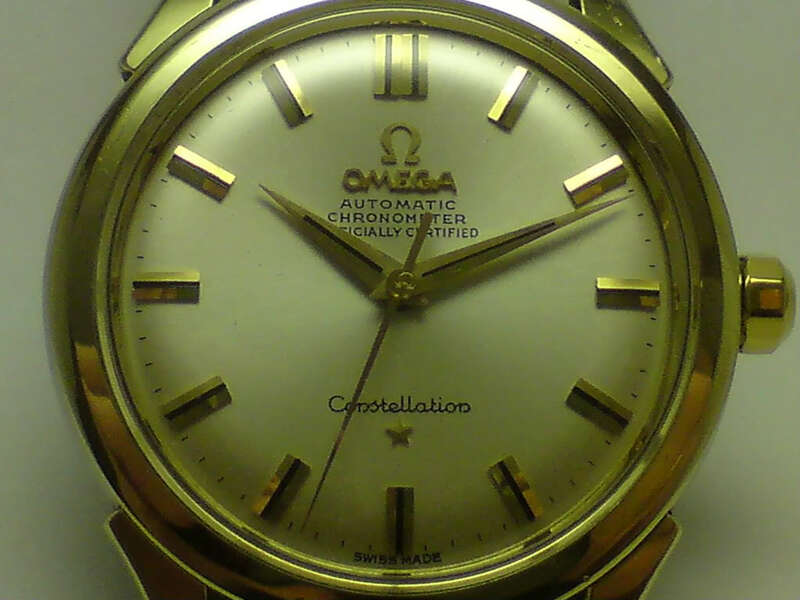 Gold Omega Constellation, Automatic chronometer, gold chain link band, gold and steel pie pan. I can't seem to find any information on this exact watch. Do you know what it is called? Do you have any indications on how much this piece would be worth? Thanks! Those two examples are very different models. The best option is to have a jeweler open the case back and record the numbers on the case back and movement.